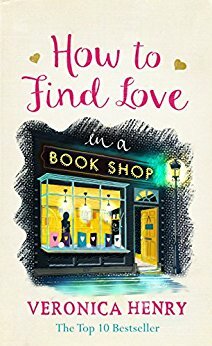 How to Find Love in a Book Shop by Veronica Henry is an interesting menagerie of stories written in third person from various points of view. The main story threaded throughout is from the point of view of Emelia, the daughter of a deceased bookstore owner, who loved his daughter, the books, and the town of Peasebrook. Emilia’s mom died during her birth leaving Julius to raise her on his own. He wasn’t a savvy businessman as Emilia would discover following her father’s death. He gave away as much as he made in books that the debt left behind hung on Emilia’s heart like a millstone. The tension in the story comes from Ian Mendelip who sends his employee to seduce Emilia to sell the bookstore because the property would allow expansion. The charm of Emilia and the bookstore work its magic on Jackson. The books cause him to re-think his life. How to Find Love in a Book Shop is You Got Mail meets Sleepless in Seattle. Love writes its own stories as the town of Peasebrook faces the past and the future, embraces change, and mends relationships. You can’t help, but smile in the end.